Here at Scout and Molly’s of West U, we’re redefining what it means to have a personalized shopping experience. Have you ever gone into a department store and tried something on, only to be half-heartedly greeted by the fitting room employee who just wants to get you into a room so they can go back to scrolling through Instagram? 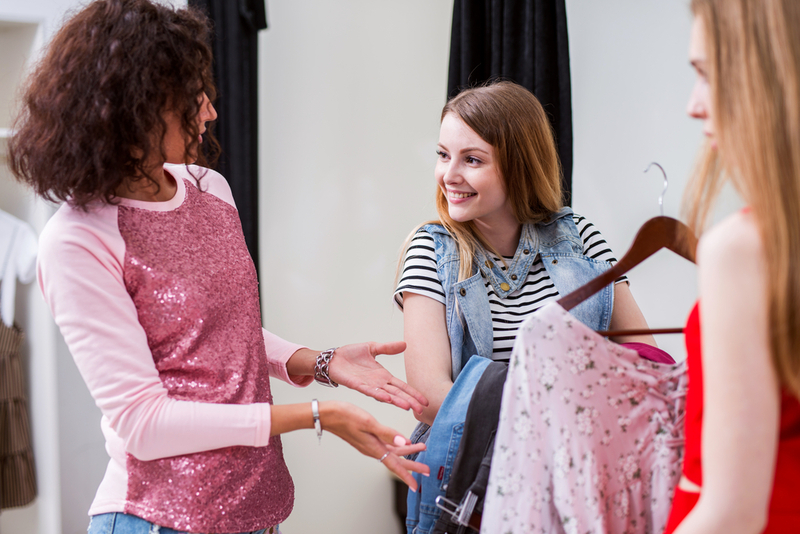 Have you ever found yourself out shopping for clothes and the staff on duty are more concerned with gossiping with each other behind the counter rather than helping you find an outfit? We feel your frustration! We hate these kinds of places too. Nothing about them feels personal at all! That’s why here at Scout and Molly’s of West U, we’re redefining what it means to have a personalized shopping experience. When you walk through our shop’s doors, we want you to be transported to a space where you can relax and have fun while getting expert fashion advice and tips from like-minded ladies. It’s our mission to make every shopping trip a unique and personal endeavor. Think of the time you spend in our store as a journey to Mt. Everest and our stylists as the fashion-savvy sherpas who will help guide you to the peak of fashion expertise. Not sure what color to wear for a specific event? Need help finding an outfit to fit your specific body type and tastes? Looking for someone who’ll actually answer the question, “Does this look good on me” truthfully? We’ve got you covered! We know that putting together a wardrobe, or even just one outfit, can be a process that is full of hard-to-make choices that usually leaves you second-guessing yourself and your tastes in clothing. With the expert staff at Scout and Molly’s of West U, you don’t have to go through that alone. We’re on your team, which means we’ll work with you to pick out clothes that express your own unique style and tastes until you’re fully satisfied and confident in your selections. When you shop at Scout and Molly’s, you don’t ever have to navigate the constantly evolving world of fashion by yourself. So, if you’re looking for a truly personalized shopping experience the next time you need a new outfit, give Scout and Molly’s of West U a visit and let our stylists treat you like family.